American Dental Technologies (ADT) pioneered laser use in dentistry and obtained FDA clearance in 1990 for laser-assisted soft tissue procedures. There are different types of lasers based on their operating wavelength. Diode laser is becoming one of the most popular types due to its portability, light weight and versatility. Procedures like gingivectomy/gingivoplasty, tissue contouring prior to porcelain veneers and/or crown placement, esthetic crown lengthening, frenectomy, reduction of gummy smile and gingival overgrowth, and biopsies constitute a large proportion of contemporary periodontics, and lasers have definitely enhanced the results and simplified the course of treatment. Here is the example of how laser assisted procedure was used to correct gingival color and contour. Brown or dark pigmentation and discoloration of gingival tissue, whether physiological or pathological, can be caused by a variety of local and/or systemic factors. 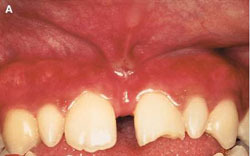 Frequently, the gingival hyperpigmentation is caused by excessive melanin deposition. Melanin hyperpigmented gingiva is an esthetic problem to many individuals, especially those with gummy smiles. People become more conscious of the black or dark patches of pigmentation and request their removal, particularly if the hyperpigmentation is visible during smile and speech. Clinicians have tried to remove melanin hyperpigmentation of the gingiva by various methods. Chemical agents such as phenol and alcohol have been used in combination; however, these chemical agents are quite harmful to oral soft tissues. Free gingival graft surgery has also been used to eliminate the hyperpigmented area; but this requires an additional surgical site and color matching. Abrasion technique, using a large, round diamond bur in a high-speed handpiece with copious irrigation, has also been used, but it is difficult to control the depth of de-epithelialization and to obtain adequate access. In this case, diode laser was used in eliminating the melanin hyperpigmented gingiva, producing great esthetic result. 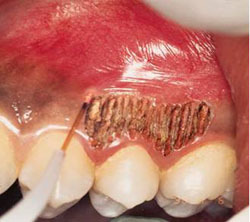 Here is an example of using a laser to remove gingival overgrowth. It has been shown that poor hygiene as well as certain medications, such as calcium-channel blockers (Nifedipine, Procardia, etc.) that are used to treat hypertension, immuno-suppressants (Cyclosporine) and anti-epileptic agents (Phenytoin) largely contribute to gingival overgrowth, which can affect both function and appearance of some people. Maintaining good oral hygiene is the key to minimize this adversary drug effect. However, when the condition has already developed, the only way to treat it is via periodontal surgical procedure, aimed at removal and contouring of soft tissues to produce an adequate functional and esthetic result. Laser-assisted surgery is not a substitute for conventional periodontal procedures. However, when used in appropriate cases, laser offers superior healing potential and more predictable esthetic results achieved in a shorter time. It can also enhance the outcome of ever so demanding restorative procedures, like porcelain veneers and crowns. If you have any questions or would like to discuss your case, please do not hesitate to contact Dr. Berkovich. 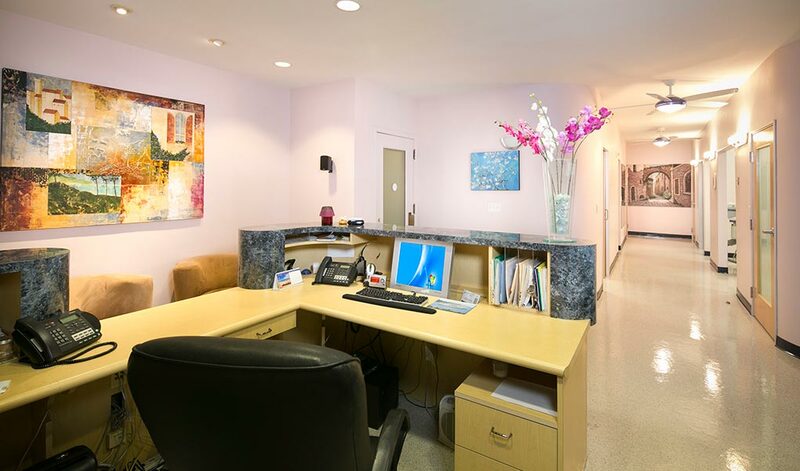 We look forward to helping you achieve great health and a beautiful smile!